The authors analyze theoretical, methodological and concrete historical aspects of the history of Russia and the Urals, primarily in the context of research into the processes of the Russian social, political, economic, and cultural life at the turn of the 19th and early 20th centuries. The collection discusses the moral foundations of Nicholas II's reforms, explores the period of the reign of the emperor, searches for the remains of the Romanov family, and reveals other topics. It should be recalled that the conference was organized on October 25, 2017 by Ural State University of Economics. Its plenary meeting held at the USUE Recreation Center gathered scholars of local lore, historians, officials of the Administration of the Governor of Sverdlovsk Oblast, representatives of Diocese of Yekaterinburg, journalists, teachers, and students. The conference participants heard several reports on the history of the Romanovs in Yekaterinburg, the history of reforms implemented by Emperor Nicholas II, and watched a film about the economic, political and social spheres in the era of the last tsar of Russia. The guests saw historical photos and documents and got an idea of importance of the era for our state, society, and the Ural region. 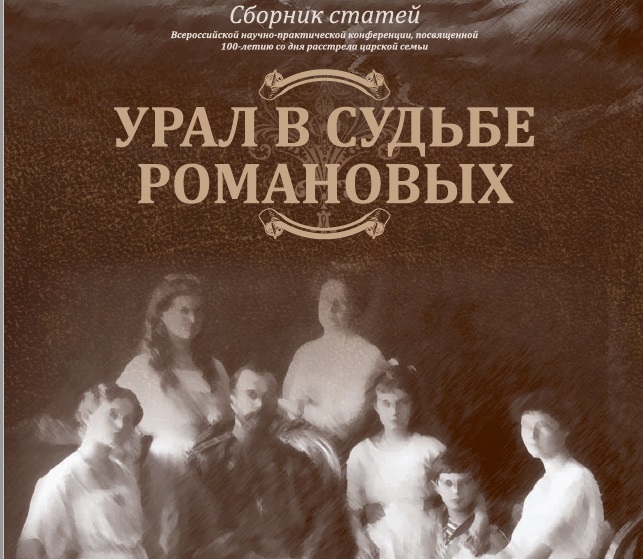 The second day of the conference "Ural in the fate of the Romanovs" was off-premise. Its participants as well as students of the USUE College and University visited the Temple-on-the-Blood and the monastery of the Holy Royal Passion-Bearers in Ganina Yama. It was there almost a hundred years ago that the last point in the earthly life of the royal family was set. The participants of the conference learned the history of the construction of the Temple-on-the-Blood that became the symbol of Yekaterinburg. The guests were led through the halls of the Temple and were told about the last days of the royal family and the people close to it.